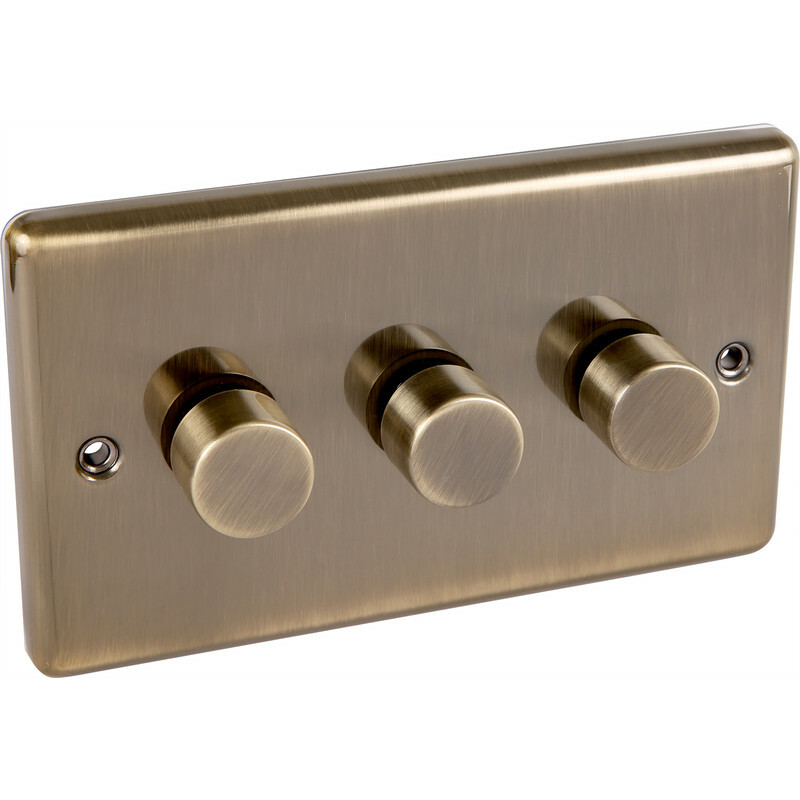 Antique Brass Dimmer Switch 3 Gang 250W is rated 4.3 out of 5 by 4. Rated 5 out of 5 by Oorwull from Nice switch Easy to fit good instructions and looks smart for a reasonable price. Rated 5 out of 5 by Zepol from Excellent Service A great service, delivered promptly, excellent product as advertised. Rated 2 out of 5 by John2004 from Will not work well with LED lights I bought this for using with dimmable LED lights, but even though the information sticker indicated it would work with them, the switch itself let off a slight buzz when on. I will be returning it.